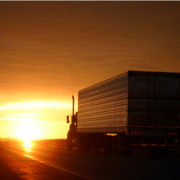 Truckers – How to Fight Boredom On the Road? All truckers know how boring a long drive can be. When you don’t have to be alert all the time due to bad weather conditions or heavy traffic, driving is easy and, well, dull. Music and audio books are the obvious solutions, but even they become boring over time. 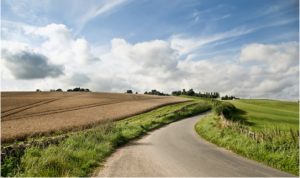 Here are a few innovative things you can do to enjoy your time on the road. Don’t roll your eyes and say that you always hated school. Learning something new is essential to the drivers since their work is often monotonous. Did you know that people who don’t flex their brains on a regular basis have memory problems when they get older and suffer from depression? Learning something new is a great way to exercise your brain power. Download some lessons and listen to them for at least an hour a day. You’ll start speaking a new language in just a few months. Did you know you could exercise when you are in the driver’s seat? All you have to do is flex your muscles. This is a great way to get a flat stomach or stronger arms. Besides being a great approach to keeping yourself in shape, exercising while driving can help you avoid drowsiness. So pump up your muscles and keep yourself from falling asleep at the same time. Warning: While most exercises designed for drivers don’t take up much of your attention, make sure to practice them before going out on the road, so you can get a hang of them. Truckers spend a lot of time on their own. What’s a better opportunity to tell a story? Practice your declamatory skills while on the road. You can either come up with something new or tell stories from your life. Who knows, maybe you’ll come up with real masterpieces that will be worth publishing. But most likely you’ll just have a lot of fun and won’t notice the time passing. Another great way to flex your brain muscle while staying alert on the road is to test yourself. Download audio quizzes or trivia with more or less simple questions and spend the time guessing the answers. Don’t go for anything too complicated since it might divert your attention from the road. A great way to pass the time is to give someone a call (if you have a hands-free system, of course). A long road is a wonderful time not to just call your parents, kids or your partner but to remember some friends or acquaintances whom you should have called long ago just to say “hi”. If you feel like you are going out of your mind with boredom, pull over and get out of the truck. Perhaps your brain just needs a bit of fresh air to keep functioning normally. Walk around your truck a couple of times and start from the top of the list. 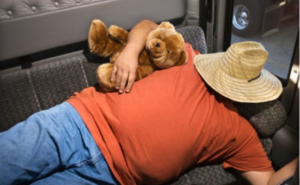 https://www.transittms.com/wp-content/uploads/2016/12/truck-drivers-fight-boredom-on-road.png 390 657 admin https://www.transittms.com/wp-content/uploads/2015/05/transitlogoblue-300x146.png admin2016-12-28 18:48:312017-01-13 20:21:49Truckers - How to Fight Boredom On the Road? If you are an owner of a small trucking company, you know how many challenges the trucking businesses face on a daily basis. When you are making plans for the new year, you want to avoid as many problems as possible while maximizing your profits. TransIT small trucking company software can help you become a winner even in the hardest situations. Here are the 6 serious issues the trucking business owners face today and how to avoid them. 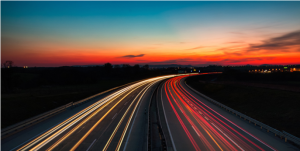 While the lawmakers seem to try to make the business easier and the trucker’s job safer, they often pass such regulations as trucking speed limiters or fuel emission requirements that are usually taking the toll on the owner’s pocket. New limitations and requirements are often expensive and slow down the business. Fuel prices go up and down and you never know what to expect. The fuel costs directly influence the profits of a small trucking company. High fuel prices can either make or destroy a small business. Since the fuel costs are unpredictable, the only thing the owners can do is track their fuel expenses and do a lot of planning. TransIT small trucking company software offers a useful fuel management system free of charge. Sometimes it takes up to 3 months for the trucking company to get paid by the shippers and the brokers. While such cycle might not be a problem for large companies, small trucking businesses can suffer significantly. The accounts receivable/accounts payable option offered by the TransIT small trucking company software can help you receive the payments on time. The trucking industry is on the rise and many companies are suffering from the lack of truck drivers. The shortage of truck drivers in the USA is close to 50,000. Finding a good driver and keeping him is a challenge for small trucking companies that can’t always up the salaries. An “integrated HR” feature in the TransIT small trucking company software assists you with recruiting truckers through an integrated job portal. Congested roads are an issue that can only be dealt with by the government. While the authorities plan for new roads, truckers suffer from heavy traffic. Long hours on the congested roads lead to boosted fuel consumption, delivery delays, health problems, and etc. 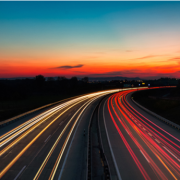 The Truck routing feature in the TransIT small trucking company software can help you generate routes and calculate miles in order to avoid congested roads. One of the most common causes of the truck driver’s injuries is the equipment breakdown. Bad-quality or missed vehicle inspections are becoming more and more common. The Service/Vehicle Maintenance feature in the TransIT small trucking company software keeps all the service records of your vehicle and helps schedule periodic maintenance. Unfortunately, small trucking companies are the first to suffer from the above problems. 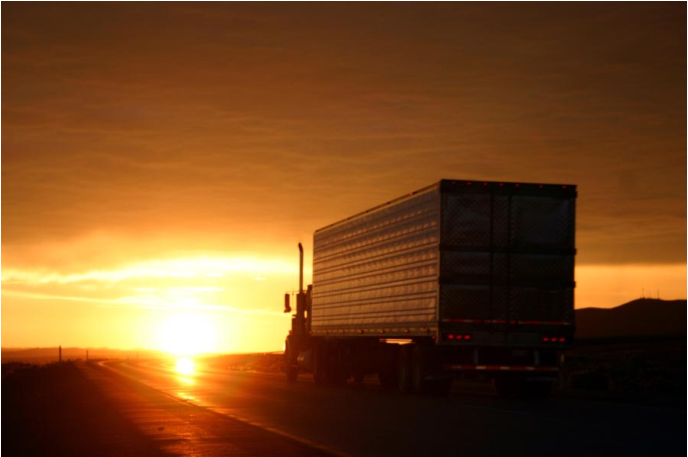 But thanks to the modern technologies, most of these issues can be avoided with the help of proper trucking software. Prevent most common truck driver injuries. If someone tells you that driving a truck is a safe job, he or she probably never drove a vehicle in their entire life. Besides serious truck driver injuries that accompany accidents on the road, truckers suffer from muscle sprains, falling objects, equipment malfunctions and much more. The hazardous nature of a trucker’s job calls for careful thinking and serious safety precautions. Back injury. This is the most common problem that the truckers face when lifting heavy cargo during loading and unloading. Surprisingly enough, many truck drivers suffer from falls. They fall from their cabins or down the stairs when carrying freight. Some truckers report slipping on ice when changing tires. The biggest percentage of work-related trucking injuries come from the road accidents. Driver’s error. The most common cause of injuries behind the wheel is a driver’s error. Fatigue, distraction, and poor training are only a few causes for such mistakes that can turn fatal. Equipment problems. Truckers often get injured due to defective truck parts, bad breaks, and tire maintenance. The reason for equipment problems is usually bad or missed inspections. Improper cargo loading. When the cargo is not loaded properly, the truck can lose its ability to maneuver and handle the road. Weather conditions. Ice, hail, rain and snow hinder the driver’s ability to steer and handle the truck. 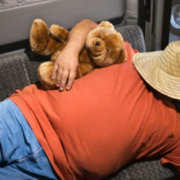 Most of the injuries that truckers suffer at work can be prevented. Here are a few things that can be done. Too many accidents happen due to drivers falling asleep behind the wheel. Taking frequent breaks can help avoid these problems. Important: Overindulging on caffeine can lead to exhaustion. In order to avoid back injuries, it’s compulsory to wear back braces and use other special equipment for loading and unloading the cargo. Freight handling is not created to flaunt your macho abilities. Properly secured loads ensure good cargo distribution inside the truck. Even if the distance is short, this shouldn’t be overlooked. Loads can dangerously shift in a matter of seconds. High visibility reflective clothing/vest is compulsory for truckers who travel at night. It can save the trucker’s life when he exits the truck. Proper footwear can save a trucker from slipping on the ice or falling off the stairs. Good trucker’s footwear must offer maximum friction. Insisting on regular inspections, especially before and after long hauls can save a trucker from an accident caused by equipment malfunction. It seems that this simple truth should be in every driver’s blood. But many truckers sometimes ignore the rule. Especially when they plan a short drive. Some truck drivers like jumping from the cabin to the ground. That’s one of the reasons why injuries from falls are so popular. Even the most experienced “jumpers” can slip. There is no need to take a risk. Truck drivers can stay fit on the road? Truck drivers can stay fit on the road. 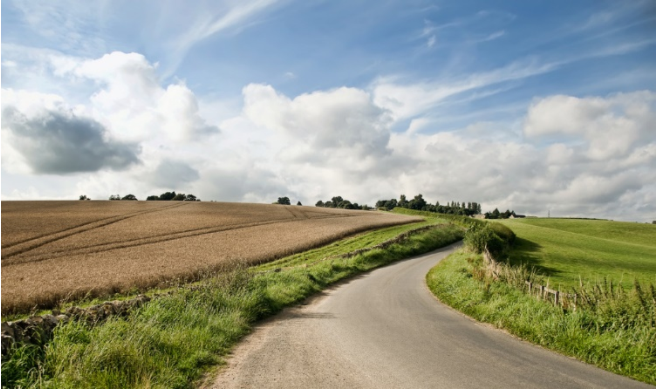 The road, the freedom, the independence – these are the advantages that come with driving a truck. But when a trucker first gets into the driver’s seat, he doesn’t suspect that an accident is by far not the only hazard waiting for him down the road. At one point or another, most truckers develop certain health problems that could have been avoided with the right approach. According to the 2014 survey conducted by National Institute for Occupational Safety and Health, 69 % of the surveyed truckers suffered from obesity (BMI – 30 or higher) and 17 % of them were morbidly obese (BMI – 40 or higher). In comparison, only 7 % of Americans report that they are morbidly obese which means that obesity is a serious health hazard for truckers. Being overweight can cause severe health problems, such as diabetes, heart disease, stroke, sleep apnea, joint pain, and more. Meanwhile, obesity is easy to avoid. 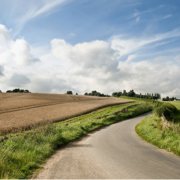 While it’s might be complicated to always maintain healthy eating habits when you are on the road, you can set up a simple exercising routine that will be available to you anytime you make a stop. This is the easiest exercise since all it requires is some space. Spending 15 minutes every day running around your truck or the parking lot can significantly improve your health while helping you lose weight. If running seems like too much at first, you can start with fast walking. Stretching is absolutely vital to truckers who spend whole days behind the wheel without a chance to move some muscles. One of the most effective stretching exercises is a plank. It can easily be performed at the sleeping cabin. Start with 4 sets of 30 seconds and go from there. You can pump up your muscles without getting out of the driver’s seat and even stopping at a red light. Squeezing muscles on your abdomen and buttocks is an easy but very effective exercise. Squeeze the muscles and hold them for 30 seconds. Then take a break and repeat. Jumping rope is the simplest and the most lightweight piece of exercising equipment you can carry with you. Start by jumping up and down and then try to move forward and backward. Alternate single leg jumps and 2-leg jumps. Do at least 30 jumps per day. This is another exercise that can be done in the comfort of a truck cabin. On the warm days, you can do them outside. Consider carrying around an exercise mat that you can use for exercising on the ground. Start with 10 pushups per day and go on to make 3 reps of 10 pushups daily. One of the main problems that truckers have when exercising near their trucks is the surprised glances from the people around them. Any time this bothers you, visualize the sympathetic looks you’ll be getting when you try to get your 400-pound body out of a truck. https://www.transittms.com/wp-content/uploads/2016/12/truck-drivers-stay-fit-on-the-road-1.png 406 660 admin https://www.transittms.com/wp-content/uploads/2015/05/transitlogoblue-300x146.png admin2016-12-07 18:03:062017-01-13 20:28:57Truck drivers can stay fit on the road? 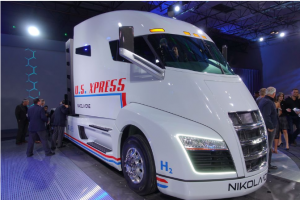 With manufacturers still trying to figure out how to give electric cars a range of more than 250 miles, Nikola Motor Company has just revealed its hydrogen-electric semi-truck here in Salt Lake City, and they’re claiming a total operating range of up to 1,200 miles. Dubbed Nikola One, this Tron-like Class-8 rig has 1,000 horsepower and 2,000 pound-feet of torque. Just for comparison’s sake, note that the D13 diesel engine from Volvo Trucks is good for anywhere from 375 to 500 horsepower and 1,450 to 1,850 pound-feet of torque. The Nikola One gets the job done with zero emissions. In other words, this could well be a game changer. The One’s hydrogen fuel cell feeds a set of h igh-density 320-kWh lithium batteries that power the fully electric drivetrain. This concept shown has six electric motors, one powering each axle. Because peak torque is reached the instant a foot touches the throttle, the Nikola One can shoot to 60 miles an hour in 30 seconds, compared to 60 seconds for a traditional diesel rig. There’s more to the One than just the powerplant. 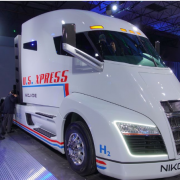 Nikola claims the truck will come with your option of one or two full-sized beds, a 40-inch curved 4K TV with Apple TV, Wi-Fi and 4G LTE connectivity, as well as a full-size refrigerator, freezer and microwave. I’m not joking when I say the concept is nicer than my house. An added benefit of getting rid of the diesel engine is better visibility. The driver sits farther forward and views the road through a panoramic glass windshield. An assortment of high-definition cameras, radar and sonar can produce a real-time aerial view of the truck and trailer, making blind spots a thing of the past. Of course, as our very own Antuan Goodwin found out when he recently reviewed the hydrogen-powered Honda Clarity, fuel can be tough to come by. To counter that concern, Nikola is planning a string of hydrogen stations across the United States and Canada, with construction beginning in January, 2018. The 364 stations are slated to start coming online in late 2019. The One should take an estimated 15-20 minutes per fill-up, and yes, hydrogen-powered cars can use these stations as well. There are still a lot of questions surrounding the Nikola One, including how solid the company’s financial backing and business plan is. And many questions remain about the level of engineering that’s gone into the One up to this point. After all, the Nikola One was said to be powered by turbines running natural gas just earlier this year, and now it’s a fuel-cell EV. There’s also still no word yet on where the Nikola One will be manufactured, but the company hopes to have that sorted out by the middle of 2017. In the meantime, trucking giant Fitzgerald will produce the first 5,500 trucks, and the company aims to have trucks on interstates come 2020. Despite being so far out, Nikola has already ballparked pricing, at least if you’re interested in a lease. You can reserve a truck for just $1,500, and the One will include unlimited hydrogen fuel, warranty and scheduled maintenance, the latter provided by well-known trucking company Ryder Systems, all for $5,000-$7,000 per month, depending on trim. Whether or not Nikola’s massively ambitious plan can be carried out remains to be seen. It may take a decade or longer to roll out all 350-plus planned hydrogen stations, and building a factory that can handle the planned 50,000 units per year will require an investment that’s beyond the pale. Remember, Tesla has been working on its game-changing cars since 2003, and its electric vehicles remain unprofitable. Still, if the commercial-trucking startup manages to achieve even some of its goals, the Nikola One could very well revolutionize trucking.